The weather is one of the first introductions kids have to science. We are immersed in it, so it’s not surprising that as soon as they can form sentences, kids ask things like, “Why is the sky blue?” Or, “Where do rainbows come from?” For parents, it can become a test of our own knowledge, but it’s also a great opportunity to engage your kids in science from an early age. Creating a weather map is a fun way for kids to learn more, while also taking part in creative play. If your kid is curious, start by introducing the basics. Watch a weather forecast on TV or visit Weather.com to find out the weather for the day. Then, head outside and compare it to what you heard. Ask your child questions so they learn the language of the weather. Is it sunny? Windy? Do you see rain or snow? Is it warm or cold? If you have an outside thermometer, you can show your child how to check the temperature on their own. For more in-depth info on all things weather, make a visit to Weather Wiz Kids, where kids can learn everything from calculating the wind chill to the best weather-related jokes. There are plenty of explanations of weather phenomena in language that kids can understand. Print and cut out each element and use tape to stick pieces on during the forecast. This is quick and easy, but won’t less very long. Print, cut, and laminate each element, using tape to stick pieces on. You can also use dry erase markers to draw on the laminated map. Create each element out of felt and attach the felt map to a piece of poster board or hang on an easel or the wall. Felt pieces will stick to the felt map. Next you’ll need decide what area you want to cover in your weather map. Your county? State? Country? If you’re printing, you can find a map online and resize it or print it in poster-format. If you’re using felt, you will likely need to hand draw your map. Don’t stress too much about it, though. It’s the forecast that’s important, not the precision of the map. There are a lot of sites that have weather icons that you can print (or use as inspiration) for free, as long as they are just for your personal use. Freepik.com has some cute options, but you can easily search for weather icons to find others. You might also want to create a set of numbers for showing the temperature forecast and maybe some arrows to show the direction a storm might be taking. Use your imagination and your local weather forecast as a guide. 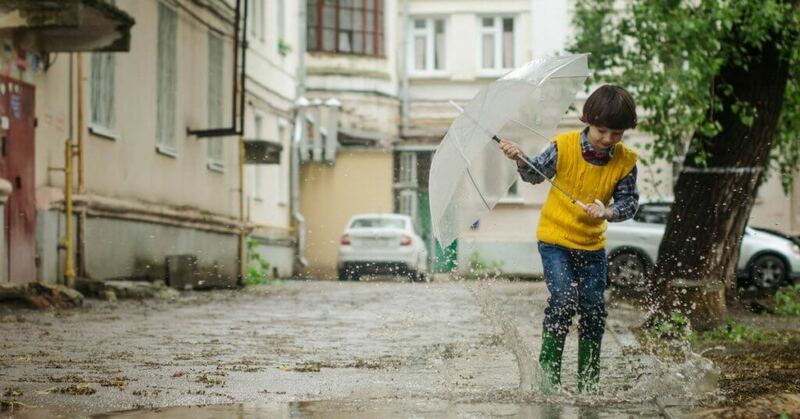 If you have your own budding meteorologist at home, you might want to consider a summer option to answer all the questions that normally come your way. Club SciKidz Dallas is offering Camp Junior Meteorologist summer camp for PreK and Kindergarten kids. They’ll learn all about rainbows, evaporation, clouds, wind, and evaporation. They’ll also get plenty of hands-on time, including the chance to make (and eat) their own ice cream. Sounds like the perfect summer forecast!